Well, an epic ODI series between England and West Indies cricket teams comes to an end in a dramatic manner. The high scoring series ends up with a low scoring match which results in a comfortable win for the home side. Universe Boss Chris Gayle was awarded as the man of the series as he scored two tons and completed the milestone of 10,000 ODI runs. He is getting closer to Brain Lara most ODI runs records for West Indies cricket. Once again Gayle Storm hit the stadium and outclassed the English cricket bowlers with zero mercy and tolerance. 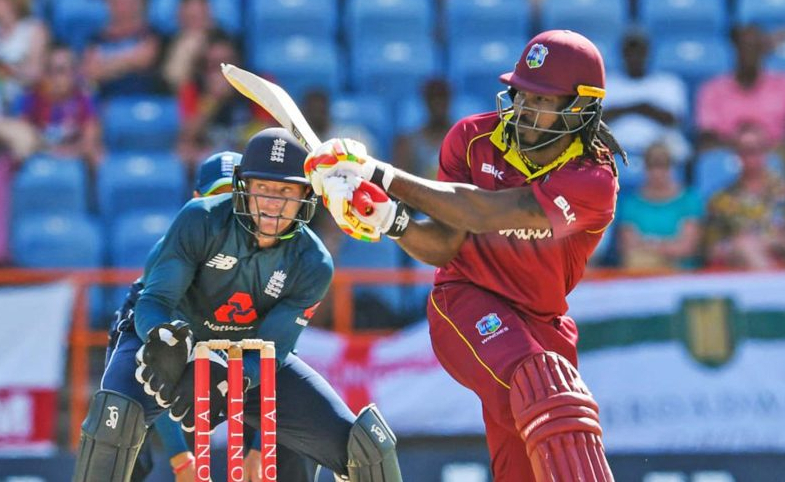 Gayle smashed 77 off 27 deliveries including 9 sixes and 5 fours. West Indies complete the total in just 12.1 overs and won the match by 7 wickets. The series ended in a draw.